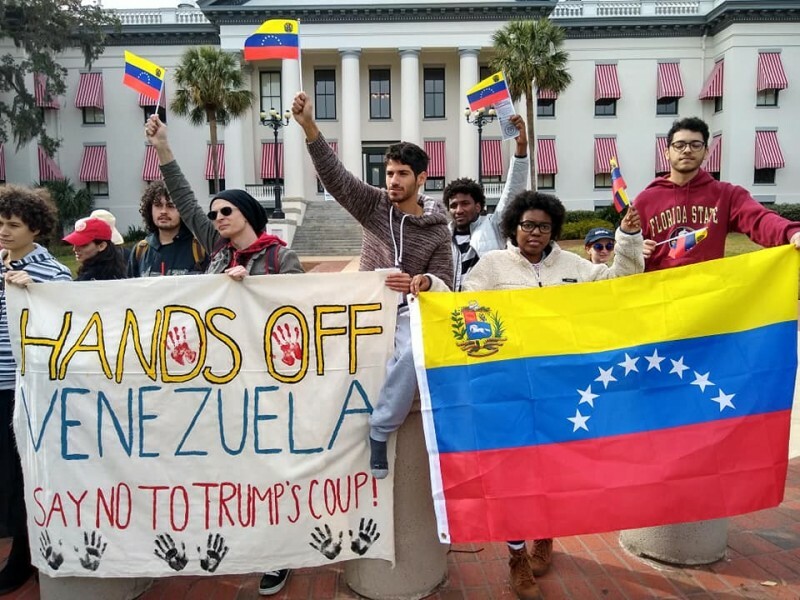 Tallahassee rallies against U.S. intervention in Venezuela | Fight Back! 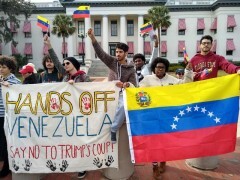 Tallahassee, FL - On January 26 dozens gathered at the Florida State Capitol building in protest of Donald Trump's recognition of the right-wing self-appointed presidency of Juan Guaido in Venezuela. The democratically-elected president of Venezuela, Nicolas Maduro, has called this a coup attempt ordered by the U.S. government.